§ Going back to Soviet times and continuing today, a major complaint of Russian democrats has been the shadowy, malevolent role played by intelligence agencies, particularly the KGB and its successor organization. Patriotic nationalists point to disclosures that their US institutional counterparts, the CIA and FBI, played a secretive and major role in the origins of Russiagate allegations against Trump as a presidential candidate and since his inauguration. § Russian democratic dissidents have long protested, and been stifled by, varying degrees of official censorship. 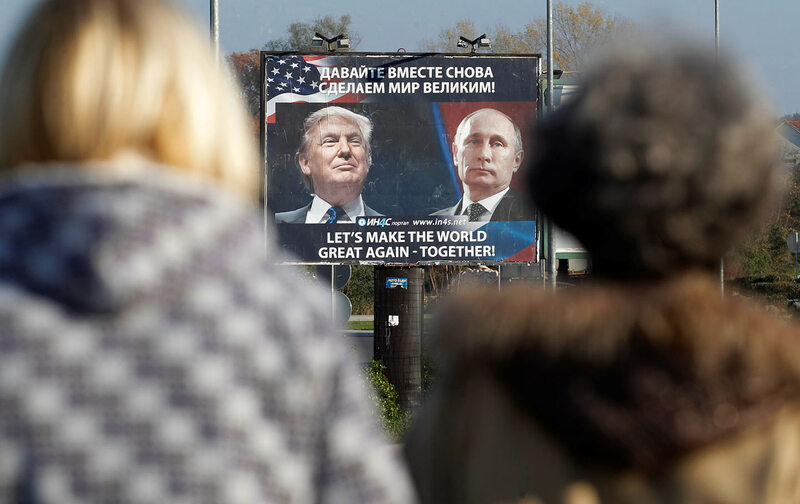 Their Russian opponents argue that campaigns now underway in the United States against “Russian disinformation” in the media are a form of American censorship. § Many Russians distrust their media, particularly “mainstream” state media. Their opponents retort that American mainstream media is no better, having undertaken a kind of “war” against President Trump and along the way having had to retract dozens of widely circulated stories. In this connection, we may wonder what Russian skeptics made of an astonishingly revealing statement by the media critic of The New York Times—an authoritative newspaper in Russia as well—on January 21 that the “ultimate prize” for leading American journalists is having “helped bring down a president.” By now, Americans may not be shocked by such a repudiation by the Times of its own professed mission and standards, but for Russian journalists, who have long looked to the paper as a model, the reaction was likely profound disillusionment. § Putin’s Russian democratic critics often protest his “imperial” foreign policies, so imagine how they interpreted this imperial statement by Washington Post columnist Richard Cohen on January 15: “Nations, like children, crave predictability. They need to know the rules. The United States is like a parent. Other countries look to it for guidance and to enforce the rules. Trump has utterly failed in that regard.” Any Russian with a medium-range memory is unlikely to miss this echo of the Soviet Union’s attitude toward the “children” it ruled. And yet, a columnist for The Washington Post—also an authoritative newspaper in Russia—emphasizes Trump’s failure to “enforce the [imperial] rules” as a Russiagate indictment. § Perhaps most Russians who are informed about Russiagate believe that all the various allegations against Trump are actually motivated by US elite opposition to his campaign promise to “cooperate with Russia.” This means, as Russia’s “patriotic nationalists” have always argued, that Washington will never accept Russia as an equal great power in world affairs, no matter who rules Russia or how (whether Communist or anti-Communist, as is Putin). To this, Russia’s liberal democrats have yet to find a compelling answer. One Russian, however, who personifies biographically both that system’s recent democratic experiences and its nationalist traditions, has had a mostly unambiguous reaction to Russiagate. Despite US mainstream-media claims that Russian President Putin is “happy” with the “destabilization and chaos” caused by Russiagate in the United States, such consequences are incompatible with what has been Putin’s historical mission since coming to power almost 20 years ago: to rebuild Russia socially and economically after its post-Soviet collapse in the 1990s, and to achieve this through modernizing partnerships with democratic nations—from Europe to the United States—in a stable international environment. For this reason, Putin himself is unlikely to have plotted Russiagate or to have taken any real satisfaction from its woeful consequences. Stephen F. Cohen’s book War with Russia? From Putin and Ukraine to Trump and Russiagate has just been published. This commentary is based on his most recent weekly discussion with the host of The John Batchelor Show. 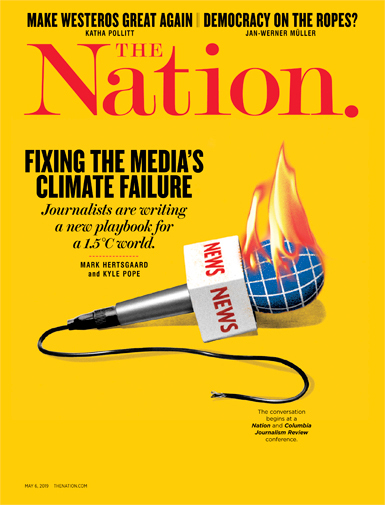 Now in their fifth year, previous commentaries are at TheNation.com.